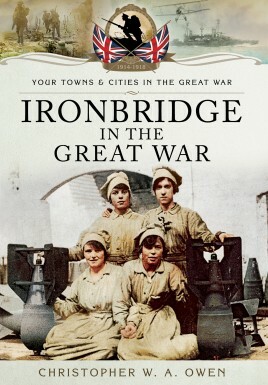 One hundred years ago this sleepy town, set by the river Severn, willingly volunteered its lifeblood to a war that everyone confidently believed would be a short-lived, adventurous romp. Misled by government propaganda, they soon discovered through fighting relative's letters and various official news reports, many of which are unearthed for the first time throughout this book, that it had rapidly degenerated into an endless morass of bloody violence with the probability of their men meeting a painful death on a daily basis thrown in for good measure. Chris Owen is a freelance writer and IT graduate who lives with his wife and son in Shropshire. He is a local historian whose speciality is the Second World War and has therefore written a logical prequel to this later cataclysmic event which stemmed from the mistakes of its bloody predecessor. Intrigued by this rural farming county's wartime history he is also commissioned to write about some of its other towns and their sacrifices during the Great War, which are to be featured in this fascinating Pen & Sword series.